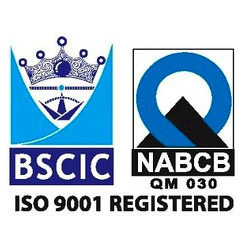 We are an ISO 9001:2000 certified manufacturer, exporter of Power Transmission Equipment, Oil Seals, Threads and various Industrial Components. All the products offered by us are manufactured using superior quality raw material, which is obtained from the most reputed vendors in the market. Further, we have developed a quality checking department at our base, which is managed by experienced quality controllers. These professionals supervise the entire production process; right from the procurement of raw material till the final dispatch. Furthermore, these professionals check the quality of every product using Finite Element Analysis and strict indoor testing before the final shipment. Being a client-centric organization, we firmly believe in maximizing the satisfaction level of our clients in the best possible manner. Due to this reason, we make sure that quality-approved products are offered to our patrons at market-leading prices. In compliance with international quality standards, all our products are manufactured using high-grade material that is sourced from vendors of high repute. The experts we have hired keep in regular touch with the customers to understand their variegated requirements and cater to them accordingly. Furthermore, we accept payment via cash, cheque, DD to simplify the complex process of monetary transactions. Also, we make sure that the consignments are timely delivered at clients' destination via easy shipment modes such as by cargo, road, sea. Owing to our client-focused approach, we have been able to muster a vast and loyal clientèle across the world.